On Thursday one of my favorite marketers released a new product. It is Erica Stone and her new course is The Total Azon List Building Kit – List Building For Amazon sites. And because it’s by Erica I’ve bought it. It has nothing to do with videos (my current focus supposedly). It is a list building course. I’ve read about and tried to build a list for my Amazon sites. I’d get a few people on a list but didn’t really have any success. They say the money is in the list (but that’s not really been my experience). So, I thought with all the traffic I’ll be driving to my sites using YouTube Power Slam 2.0 and RAM I’ll need to now how to get repeat customers by emailing to them. Working down the sales letter it says the Kit includes everything to get you started fast – templates and PLR. The course is about building an Email list and you getting what you need to start building it with your Amazon site. Everything needed to get stated is included – autoresponder instructions, free book to give away and topics for future emails. I like this so far as it is always concerned me why would anyone want to sign up for an email list site from Amazon review site and if they did what would you talk about to keep them interested. Erica says she knows how to make emails work for an Amazon review site and get people returning. And it can help you overcome anything Google does by having people coming back to your site and buying from your list. There is more talk about the advantages (I’ve heard before and do believe but I’ve never been able to get it to work for me). Next we’re on to what you get – a 32 page guide, a PLR book to give away to help you build the list and 4 email templates. I like the fact you know what you are going to get. There’s details of the PLR book – this looks like a good giveaway on tips on buying on Amazon. I wonder if a general book will be seen as enough to get someone to subscribe. I guess the answer is to test and you can change the book for your market. There’s the buying button, the guarantee and rules about the PLR. That’s it. A simple direct sale page. Fantastic. I’m buying! This is straightforward through the warrior forum and you pay via paypal. Once paid I’m taken back to the warrior delivery page. After clicking on the link to deliver the course you get a zipfile to download on to your computer. There are no upsells or any other distractions. Right now on to the course. I’m starting with the main guide. The guide is 40 pages long, It starts off with an introduction to Erica. She also says it is possible to have a profitable list based on an Amazon review site and she has done it. I said earlier I couldn’t see how it would work. Hopefully, I am about to find out. Then there’s talk about the advantages of a list and how it puts you in control of your destiny. The next bit gives 3 examples about how you can use an email list to help your subscribers and make some money too. They’re good practical examples and I’d be comfortable sending these type of emails out. Ok next point addresses my concern about what to say – you have to be creative and think about what people might want after they’ve bought the items you’re reviewing. Now we’re into the 5 things you need to get started – plus you need something as carrot which is the PLR book included with the course (I’ve read through it and I think its good quality). There’s a good easy to understand diagram showing how you go from getting the customer to subscribe to delivering the “carrot”. Now we’re setting up the 5 things needed for the email system to work. As I’ve come to expect with Erica this is very well laid out and easy to follow. Some of the instructions may vary depending on what SEO plugin you use. (There is an assumption you know a little about WordPress). She does say you may want to change the PLR giveaway so it is more unique to you. Good idea but I’m lazy here. I leave it as you need traffic. The autoresponder Erica uses Aweber, so the instructions are based around it but can be tailored to any autoresponder you may use – you’ll just have to work out the buttons to push. Once done – it took me a couple of hours – the book moves on to what emails to send and how often to send them out. You are given 4 email templates that you can use to start your follow up series with. There is a 4 page PDF that helps in setting these up. I’ve set up the first one, I’ll do the rest later. There are tips about how not to annoy your list and keep them interested in opening your emails. Good stuff and there are 11 practical ideas for the content of your emails and how to format the email. It finishes off with building a relationship with your list and not worrying about people unsubscribing – it happens to everyone. I’m all set to be able to experience “the money is in the list.” I just need to get some traffic now. 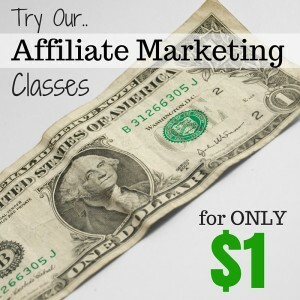 The Azon List Building Kit is a well put together course. It is easy to follow and has answered my questions on how to get people on to an email list and provide them with useful content. I don’t have any real concerns about the course (if you have never used Aweber it may take a bit of time to put together and learn). This is a very good course if you have an Amazon review site (the PLR giveaway is written around Amazon) and you want to have a responsive customer email list.